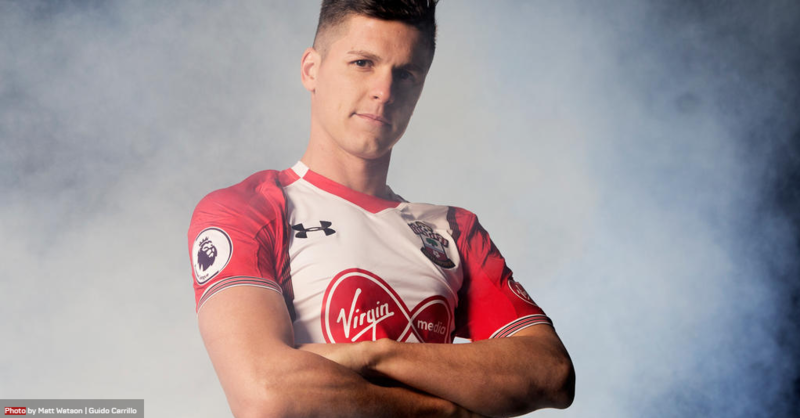 After lengthy talks and a rejected initial offer, Southampton have signed centre forward Guido Carrillo from Monaco for a fee of £19.1 million. The 26-year-old was on the south coast to complete his medical and signed a contract with the Premier League club until June 2021. The Saints currently sit in the relegation zone in what is an incredibly tight bottom half of the Premier League table but when assessing the options for a player to provide the goals that will hopefully fire the club to safety, manager Mauricio Pellegrino knew were to turn. Pellegrino managed Carrillo at Estudiantes before his 2015 transter to Monaco and will be very familiar of the qualities that the Argentinian will bring to Southampton’s attack. “He can replace the profile of Charlie (Austin). A big body, can hold the ball, is good in the air and can be good to help us to be stronger. It’s a plus that I knew him when he was really young. He was 19, at the beginning of his career,” Pellegrino said after news of Southampton’s inital failed bid had broken. With Austin out injured and Shane Long and Manolo Gabbiadini struggling for goals, Southampton were persistant and now have their new number nine. Southampton have secured the signature of their desired striker but the transfer is also a welcome move for the 26-year-old, who has had to make do with a squad role since moving to France. Only two Ligue 1 starts this season from his 22 total appearances paint a clear picture of how Leonardo Jardim has opted to use Carrillo and while his tally of five goals has been important, the striker is probably deserving of far more playing time than Monaco could offer. Despite not getting on the pitch a great deal, Pellegrino will require no explanation as to how to get the best out of Carrillo as it was under the 46-year-old that the Estudiantes academy product really blossomed. After breaking into the first team and making his debut in 2011, Carrillo had gradually become a greater influence on the first team and had scored a handful of goals but it wasn’t until the sale of Colombian Duván Zapata in 2013 that Carrillo stepped up as Estudiantes’ main number nine. The following season, Carrillo was runner-up to Mauro Zárate as the Torneo Final’s leading scorer with nine goals as Estudiantes finished third and it was at this point that European clubs began to take notice. A popular figure in La Plata after progressing through the academy, Carrillo was a big, powerful classic centre forward, who even at a young age was capable of playing up front alone. At around six feet three inches tall, Carrillo poses a strong aerial threatm can play with his back to goal and link play but also possesses an underrated ability with his feet. His build-up play is good and his movement and positional sense around the penalty area is excellent and during his time in La Plata, Carrillo demonstrated admirable leadership qualities, not often found in young players, captaining the side on occasion before his sale. The fee of almost £20 million is a lot of money and undoubtedly a gamble but with the average of transfers in Europe increasing with every window and Premier League clubs paying a premium for talent, it is hardly surprising. Should Carrillo score the goals to keep Southampton in the top flight, that fee would already be repaid.